We place a very high value on customer feedback to ensure we stay in tune with our clients needs and expectations and continue to deliver excellent results and customer service. Bark Busters saved our dog. We adopted a 110-lb Newfoundland to discover it wouldn't go down the stairs. If she couldn't go pee, we would have had to find another home for her, for her own safety. That's assuming we could relocate her! We had to rig up an emergency litter box. That's not good for anyone involved. Even though it worked, she was cooped up inside all day getting bored and antsy. We were still afraid she needed a new home. BarkBusters spent an extra hour in a sweaty stairwell to make sure we fixed the behavior. When we were done, our dog was parading up and down the steps just to show off. All five of us were downing water and crowding around the air conditioner when we finished. We signed up for the lifetime benefits on the spot. In addition to normal training, even if we move or if it's a year later when the dog has a problem, they'll be back. We talked about a move across the country, and they already know the name of the person who can pick up our case. If BarkBusters can get my 110-lb Newfoundland up and down the steps, they can help your dog with their problem too. They also taught us simple tips to get immediate control of the dog's attention, plenty of literature and homework to extend the training, and even a sign to hang on the door to let our neighbors know we're training. It's an all-inclusive deal, from getting you a leash if you need one, to making sure you can lead the training when they're gone. We had a perfect experience. I would have paid the lifetime fee just to see the dog go down the stairs, but toss in further visits and I'm a lifetime convert. Thanks! Bark Busters has been a dream come true for our family and our dogs. Their training methods are so simple, yet so effective it has made training our 2 young dogs a joy. The follow up is very helpful for reinforcement and adding new lessons. Our dogs are so well behaved and happy after just a few training sessions. I can’t thank Marlene and Brandon enough for their help and encouragement. Marlene and Howard, from Bark Busters, are miracle workers. Our 13-week old labradoodle is a sweet puppy, but before yesterday, he barked and jumped and nipped ALL DAY LONG, and was a whirling dervish on the leash. It was exhausting and discouraging. Marlene and Howard came to our house yesterday morning, and changed our life. They stayed for a couple of hours, explained their methods and the philosophy behind them, and worked with my husband and me on basic behavior problems - barking, jumping, nipping, misbehaving on the leash, and a few other basics. By the time they left, our dog was relaxed and manageable. We were worried that he might revert to his former bad self as soon as they walked out the door, but Marlene and Howard emphasized that they were training us, not the dog, and that as long as we remained consistent, he would continue to respond well. When we worked with him this morning, he was relaxed, focused, and manageable. The nonstop barking seems to be a thing of the past; he sits on command and has begun to "stay" pretty well; his nippiness is practically gone; and we have every confidence that his leash behavior will continue to improve. All this after just ONE DAY. Thank you thank you thank you, Marlene and Howard. Our 13-week old labradoodle is a sweet puppy, but before yesterday, he barked and jumped and nipped ALL DAY LONG, and was a whirling dervish on the leash. It was exhausting and discouraging. Marlene and Howard came to our house yesterday morning, and changed our life. They stayed for a couple of hours, explained their methods and the philosophy behind them, and worked with my husband and me on basic behavior problems - barking, jumping, nipping, misbehaving on the leash, and a few other basics. By the time they left, our dog was relaxed and manageable. We were worried that he might revert to his former bad self as soon as they walked out the door, but Marlene and Howard emphasized that they were training us, not the dog, and that as long as we remained consistent, he would continue to respond well. When we worked with him this morning, he was relaxed, focused, and manageable. The nonstop barking seems to be a thing of the past; he sits on command and has begun to "stay" pretty well; his nippiness is practically gone; and we have every confidence that his leash behavior will continue to improve. All this after just ONE DAY. Thank you thank you thank you, Marlene and Howard. Marlene and Howard restored the peace in our home we had lost! My veterinarian recommended Marlene, Howard and Bark Busters when our 72 pound 6 mo old puppy, Marty was so aggressive in her office toward her and her staff. I e-mailed Marlene about our "problem" dog and she responded right away. Sept. 5th, 2017 was her first visit. My dog charged the front door, barking, growling, jumping. Somehow, they still came inside. I told her on the spot I didn't have any expectations from them or the training. My dog had been in 2 other obedience classes. He knew how to sit, stay, and lay down but that wasn't his problem. He nipped people, could not walk on a leash, aggressive toward dogs and people. He was running our house. I would let him outside and he would sit and stare at me when I called him in. The problem was very clear to Marlene. I hadn't assumed the leadership role so my dog did. I didn't know how to. She patiently taught me how to address our issues. The first visit they stayed over 2 1/2 hours. Educating me, showing me, hands on training. I worked diligently twice a day with my dog. I did everything they suggested and more. Return visit was 2 weeks later, my strong willed dominant Giant and I needed more hands on training. Howard had me walk my dog in the street by the curb to avoid distractions. They offered more suggestions. Week 3 I call it the turnaround week. My dog comes when called, jumping gone, aggression a lot better. On walks he is ignoring people and dogs. My dog was looking to me for direction. Our mornings are peaceful. Week 4 today, I met Marlene and Howard at door and told them "It's going to be a short visit" my dog and I have finally come to terms. I'm the leader, He's the dog! This wouldn't have been possible if Marlene, Howard, and Brandon hadn't taken the time to teach me how to be the leader my dog deserved. Thank you for EVERY-THING! Do I recommend Bark Busters and the Marks'? Without any reservation at all YES, yes, yes! Howard and Marlene are AMAZING. We had started having trouble with our English Bulldog Ody walking on the leash he would bite and pull. 6 months ago this behavior carried over into the home, he would jump on us whenever we were in the kitchen or trying to pull something from the oven. After just one session with Howard and Marlene we saw such a notable improvement in Ody's behaviors! I have tried many other dog trainers in the past and had lost hope that someone could help us with our dog, but I'm so happy I tried one last time. I cannot recommend or praise them enough for what they've done for our family. I had the initial puppy training five and a half years ago. I was very pleased with their improvement. In recent months, we moved from a fenced yard to a condo building. Between the use of elevators and the needs for daily walks, my dogs both needed training modifications. Marlene came out and accomplished all my hopes in one training session. My dogs and I are doing great. We continue to work on all our training lessons daily. The dogs now have beautiful elevator manners, which have been praised by many in the building. They walk correctly and trust me to be their alpha. I am no longer jerked about on our walks or keeping up with them as they chase squirrels. All those bad habits are in our past! I am so grateful to Barkbusters. My dogs are happier and our home is peaceful! Marlene and Howard have been terrific. We have two rescues, one of whom has a largely unknown history. We needed training with regard to aggression of the dogs and leadership by us. Our aggressive rescue is a changed dog. I no longer dread going for walks for fear of negative encounters with both people and dogs. I can now enjoy a leisurely walk and my rescues now enjoy allowing me to be the leader. Thank you! I am so very happy that my husband and I reached out to Marlene and Howard. I could cry writing this review because I'm so HAPPY with the results. After our first lesson with Howard and Marlene, Leo was already a changed dog. Leo is a 1.5 year old dachshund who began to develop some behavioral issues. I have had him since he was a puppy and nothing horrible has happened to him, it just felt like one day he decided he didn't like people. I grew up with dachshunds, so I know they are barkers, but Leo's bark is another story... It was aggressive, it was SO loud, it was piercing, and it didn't stop when we were greeted by strangers or when someone was at the door, etc. Then we noticed he attempted to bite couple of guest we had over when they were on their way out... That was our breaking point. I should also add that he is not fond of kids. We have only had 3 lessons so far, and Leo is a changed dog. Last weekend a kid sat down right next to him and he did NOTHING. We can now take him to places where there are lots of people and he doesn't even bark! IT'S AMAZING! I'm honestly still in awe of his transformation. Bark Buster's techniques are not cruel and they teach your dog to think with his brain and not his stomach. We had looked at a couple other training facilities before finding Bark Busters and I'm so glad we went with Bark Busters. I cannot recommend Marlene and Howard enough, they have made my life and Leo's life so much more enjoyable!!! I am so very grateful to have found Marlene Marks and Bark Busters. I am a long time german shepherd owner who was a quite rusty at raising a puppy. As a result our teenage GSD was taking the leadership position in our home, and consequently outside. I took her to off-site courses, leash reactivity classes and also hired a private trainer who came for months and used tradition neck corrections on her. I finally got tired of watching my dog yelp at a high level correction, especially because it really did nothing to permanently address her issues. As a smart dog, she was learning basic commands easily, but that wasn't establishing me as leader in her eyes. Enter Marlene. She identified our problem immediately. She left our home a few days ago and everything she showed me to do has had immediate results...without me having to give harsh corrections. My husband was astonished when he was able to answer a delivery to our door with our unleashed dog in a still and silent sit with no issue at all. I see now all along what I needed wasn't more commands, it was a method to help me earn her trust and establish myself as the leader without forcing her. I got this training from Bark Busters. Marlene trained me not my dog. Also the wagg walker is a wonderful tool and the game changer keeps her occupied for extended periods of time. One last note...I had come to just accept leash reactivity would be a forever unsolvable problem. With the wagg walker, I am now able to walk her past dogs without explosions. Thank you Marlene and Bark Busters. I intend to refer you to anyone who will listen. when Marlene told me that my dog could be trained, I really didn't think my eight year old rescue dog could change. Marlene's confidence in the program made me give it a try. Marlene gave me the skills I needed to train my dog who had separation anxiety. There were many times that we thought we would have to give her up but we persevered because we knew there was a chance that she would be put down. Our dog was always a sweet dog but she would flip out whenever we left the room or went out somewhere, this was extremely stressful for us. I am more than thrilled to say that my dog has done a complete turn around and the stress level in our house has gone down tremendously. I feel like we have a new dog thanks to Marlene. Bark Busters has a lifetime follow up policy. Several years we used Bark Busters' services. The trainer that we had subsequently retired, we moved, but Bark Busters is still there for our dogs! Marlene Marks has taken over wonderfully. She has been working with me and our Bernese Mountain Dog, Tyson and our German Shepherd, Jake in our new home. She has addressed our issues and has followed through completely. The dogs aren't done yet, but we are making progress with the second- time around. Great lifetime customer support! I am impressed! Marlene and Howard were great! We adopted a young girl, and like many dogs who have been adopted, she had her share of issues. It is always hard to know how to address these without knowing a dog's history. After one visit our girl was great on the stairs (no longer running us or her big brother down), had good front door manners, and we were well on our way to stopping her mouthing. By the end of the first visit our girl finally relaxed. It was amazing - we had not seen this prior to Marlene and Howard working with her - it allowed us to get a glimpse of who our girl could be. We have good tips and tricks to help with her mouthing issues, treating her brother with respect, and enjoying life. She is becoming a very good dog. Thank you. The training so far has been excellent. It has exceeded our expectations. Marlene is wonderful. She took her time and explained in detail and answers all of our questions. The first training was the longest and he learned the most. Her follow up questions are helpful and she really gets to know us and our Brownie. I feel like I have been learning a lot with Marlene. More importantly, I feel like she cares about our dog and wants to help us. Bark Busters training has been so incredibly helpful for our greyhound, Brie! She was having problems with separation anxiety when we would leave for work, and we also didn't feel like she was listening to us when we wanted her to do something. Bark Busters [Marlene] first and foremost helped US learn how to understand Brie and train her in a way she would understand. By practicing the training techniques every day, we can tell she is much happier and feels safer in our home. And it makes us so proud of her! These are skills that we will be able to carry with us and will benefit us and Brie far into the future. Marlene and Howard have been absolutely wonderful!!!! They make sure WE understand how to train our puppy and always walk through everything we need to know and do! Kinser has come a long way in a couple of months and we could not be happier!!! I would recommend them to anyone!!!! Marlene and Howard are amazing. Our Shitzu, albeit sweet, was a rescue with boundless energy and few manners. In no time, with short easy to schedule and easy to follow home training, he is an obedient angel. Marlene leaves you copious notes, so you don't forget what she taught you. They do not use punishment at all. They also use treats sparingly! But it works! Then a year later, we had an issue come up where Chewy started being aggressive with big dogs. True to their promise, I called Marlene and scheduled a visit to work on that issue. They came and again offered an easy to implement solution. They are wonderful people and very knowledgeable about animals. Marlene, Howard and Brandon have been an invaluable resource to our household pack. Having two dogs with drastically different personalities has been extremely challenging. As the problems piled up, we finally realized we needed professional help. We are so thankful to have found Bark Busters. After only the first visit, we were able to completely correct issues that have been a nuisance for over a year. Before Bark Busters, we were forced to adjust our lives to accommodate our dogs and "band-aid" situations instead of addressing them head on. Now after every session, we are left feeling confident and excited to further improve our lives with our dogs. The Marks family has always been so accommodating and responsive, and they are always there for a quick text or phone call. We feel very fortunate to have them in our lives, and can not be more thankful. Thank you Bark Busters! Meg has made remarkable progress thanks to your training and help. She has become very obedient, always follows our instructions and does not pull when walking. Only occasionally we have to say BAHH with a clap of hands if new people come to the house. We do not need your help now, however we will contact you if there is such need. Thank you again and warm regards. Rocco and Christina T.
Marlene and Brandon were amazing at helping me better understand my dog, Stanley, a 3 year old black lab rescue and to ensure clear, consistent communication with him (in a way he understands). After our first session, Stanley's behavior significantly changed for the better. I can say that 3+ months later, he (and I) have maintained that change. Thank you to Marlene and Brandon for making my household less stressful for both Stanley and me. I had an issue where my dog was barking at other dogs, and it escalated to her barking at people she did not recognize. Marlene came out and worked with me and Chela and gave me new behaviors to try. She said it would take 3-5 weeks for this behavior to become ingrained in Chela. She was right to the day! Now I know how to be the alpha and make sure she is praised when she does the right thing - but is given signals when dogs are approaching to remind her how to behave. Walks are so much more pleasant. We called Marlene, Howard & Brandon for our very excited and high energy, Wheaten Terrier puppy. We had previously taken her to dog training classes where she learned some tricks; however, we didn't have the tools to correct bad behavior or help minimize barking, nipping and jumping. We were also expecting a baby in six months and were concerned her puppy energy would lead to issues with the baby. The Chicago Bark Busters team came out and discussed with us the approach and how we as humans had to change how we disciplined our dog and helped understand as a dog, how she interprets the world around her. This was incredibly helpful information that we rely on every time we interact with her. They then listened to our concerns and taught via hands on training how to correct our dog's behavior. Marlene was incredibly calm and our dog really responded. We started seeing results that day. Chicago Bark Busters gave us homework and training exercises to do with our dog in the weeks between their visits. It was amazing how quickly our dog responded to the exercises and how much calmer she became. We still have to work with our dog daily but we now have the tools to train her in a way she will listen. The baby came and our dog is a completely different puppy. She is calm and gentle around the baby and has stopped much of the bad behavior. We are all so much happier and owe it all to Bark Busters! Marlene and Howard are fantastic! They helped me with my beagle/corgi mix so much! My dog had a lot of separation anxiety and developed a barking habit that was disruptive to my neighbors in my apartment building. After just one session, I noticed a change in my dog's behavior, responding to me more as the leader and also noticed she wasn't barking as much during the day when I was gone. Marlene even helped me with the pulling problem my dog had while on walks. Now she doesn't pull as much and walks beautifully! Such a great training option and well worth the money! Thank you! Bark Busters has been a complete savior for us with our new puppy!! Marlene and Howard are wonderful, patient, honest, caring, supportive and dedicated to training our puppy! Our puppy not only has turned into a well trained dog but is so wonderful as a family member, I attribute many of her characteristics to the training of Bark Busters. I would highly recommend calling them today!! We were losing our minds trying to train our 1 year old Shepherd Mix, Stanley. We had trained him through private and group treat based training and felt that although he was learning the desired tasks initially, once transferred over into the house and long-term, he would not cooperate without treats. It was evident that Stanley did not respect us, specifically my husband, and we needed help. After our first training session, we saw immediate results. As we continue to train Stanley at home, we love the fact that we can call Marlene, Howard, or Brandon for any help and are not pin-holed to complete our training in a set number of weeks or sessions. Although Stanley still has a lot of growing up to do and more training, we are truly happy with choosing Chicago Bark Busters for our training. We just wish we would have known about them before any other training we had signed up for. Thank you Marlene, Howard, and Brandon. We will be calling soon to setup a follow-up training session! Howard and Marlene were very helpful with our dog. She has been having issues with being fearful/protective when guest are in our home. They explained everything in a way that made sense and gave us the tools we had been missing to help solve our problem. I have only had 2 sessions with Marlene and Howard so far, but I've found that they are very sweet to my dog despite her stubbornness/ spazziness and have a solid understanding of what makes her anxious, badly-behaved, and sometimes aggressive. The exercises they've given me to work with my dog to establish my "in-chargeness" have been very helpful and I can see that my pup is more at ease around the home these days, even with visitors. I received the information about Bark Busters from my vet in Chicago. I had just moved to an apartment which allowed pets, but since Buddy was a rescue (I had adopted him 9 years ago), he reverted back to his seperation anxiety. Everytime I left him, he would bark and scratch at the door. The neighbors began to complain, and, although it made me heartsick, I realized for both of our sakes, I couldn't keep him. Due to my new life situation, I was unable to spend the necessary time to help him adjust and receive the attention he was used to. Through good friends, I found a perfect home for him in my old familiar neighborhood. The couple is retired and are dog owners, but may soon lose their 18 year old blind and deaf dog. The husband spends many hours at home reading but likes to take the dogs out for walks. His wife is very supportive and is a very warm, caring person. Again, because of Buddy's difficult rescue history he had to overcome his fear of men. He went back to survival mode and snapped at him. A bond with a man was foreign to him. He had been rescued by a female (me) when he was about 1 years old. It was so important for me to see this new family succeed, so I hired the Bark Busters. I obtained the new owner's permission, followed by a detailed discussion with Marlene about Buddy and our situation. She was very open, honest and clear about the cost and arrangements. Marlene contacted me after the session and gave me a detailed account. She felt that Buddy's new owners were receptive and desirous of learning how to help all of them adjust to each other. I have also felt comfortable calling Marlene with questions. It was indeed a very wonderful outcome. I recieved a photo from the new owners with Buddy laying on the sofa next to them, sound asleep. This picture gave me so much comfort and helped with my painful grieving process. Thank you, Bark Busters, for your amazingly positive and efficient methods. The new owners are thrilled with Buddy and I can now move forward with complete relief and less guilt and fears. I obviously highly recommend the Bark Busters! 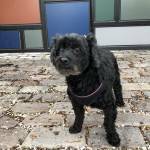 We have a 5 year old Schnauzer/Poodle mix that had developed some serious barking and aggression problems. Howard and Marlene Marks used the Bark Busters training techniques to resolve the issues with our dog. We saw immediate behavior changes within a week. After several months, her behavior is much improved. The training has made an ENORMOUS difference! In a panic with a new puppy, I reached out to Marlene and Howard at Bark Busters, who responded to me immediately and with much support and guidance. They provided initial training, followed up with check-in phone calls, and, when I unfortunately had to bring my puppy back to the breeder due to lifestyle challenges, they listened to my concerns, offered sympathy and understanding, and were nice enough to provide me a full refund despite having already worked with me for several hours. When I venture out to select a puppy again in the future, I will consult Marlene and Howard before I do anything else, and I will schedule our first meeting for my puppy's first week. They treated me with kindness, warmth, and respect, and I look forward to the day I get to work with them in training the puppy that is meant to be mine. Howard and Marlene are amazing trainers. They have an innate ability to understand dogs and guide them to appropriate behavior. Thanks to their training, our puppy Millie is dramatically better at interacting with our children gently, and coming when called. They have also helped us get rid of annoying behaviors like begging during mealtimes, and jumping. Millie went from being a bit difficult to being a wonderful member of our family as we applied their techniques. They accomplished all this with a gentle approach, which was important to us. 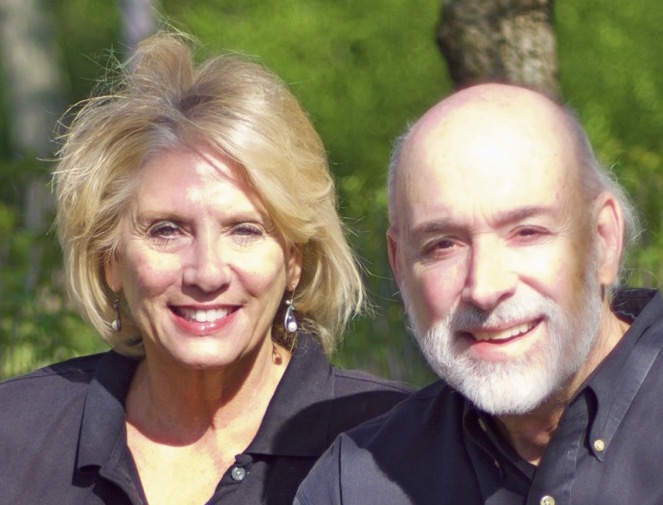 Howard and Marlene sincerely care about the dogs they train, and are very accessible and service oriented. I have already recommended them to friends, who have had similarly good experiences. I’m so so grateful for Bark Busters. After our move to Chicago, my dog, Jojo was barking constantly and was very anxious most of the time. We had one session with Marlene and I was amazed at all the positive changes he was making. Marlene taught me how to communicate with my dog in his language. Brandon worked with my 6 month old puppy for about 2 hours...I couldn't believe how quickly his techniques worked. Brandon explained the philosophy of Bark Busters and taught us how to do it...I am so glad that I decided to use them for training ....I look forward to more interaction and help with Buckshot...thanks Bark Busters..
Marlene and Howard have been great! They have helped us to understand Franklin's behavior from his point of view, and to change the way that we communicate with him. They also gave us the tools to communicate effectively, to a better-quality leash. They have been responsive and accommodating, and have helped us work through the most challenging situations either over the phone, or in meetings at our home. We are so relieved that Franklin is listening better to our commands inside and outside of the house and that his stress/anxiety seems to be much lessened, but most of all we are grateful that we can finally feel more comfortable with him around our 11 month old daughter now that we are in control. My husband and I know that we are all a work in progress, but we are enjoying our pup much more now that we are on the same page with expectations and communication. Howard and Marlene helped us so much with our pup. Within hours of our first meeting our barking machine became quiet and docile. We have since learned lots of ways to help him respond better to our commands, and we are a much happier family for it! Marlene & Howard Marks did a superb job of presenting the important information in a professional, yet very family-friendly manner. My wife and I along with our three grade schoolers could very easily understand their message to us about how dogs think and act versus how us humans think and act. Hiring them was the best decision we made in terms of better equipping our family to teach Gracie how to behave and listen to us. A+!!! First let me start by saying, Marlene and Howard, you are ABSOLUTELY AMAZING! After a not so pleasant growling and ferocious barking match between Buddy and a neighbor dog, we researched recommended trainers and this is when we learned of Bark Busters. Buddy, my husband and I, began training with Marlene and Howard mid-February of this year. By first lesson's end, Marlene and Howard had addressed the barking and aggression when the bell rang and people entered. Needless to say, Buddy's aggression calmed and with their expertise of training, not only my husband and I now incorporate into our everyday training with Buddy, but our kids also use the same use of commands; which is wonderful because it sends a consistent message to Buddy. Our third and most recent session was to introduce Buddy and the neighbor;s dog in a controlled environment. WOW, is all I can say. The approach Marlene and Howard took at identifying and reprogramming Buddy's thought process when confronted with a dog he was so aggressive with prior was like nothing I had ever witnessed. No exaggeration when I say, Buddy was so calm and obedient. Not only the behavior exhibited but the simple methods used to train, confirmed that we can incorporate the same confidence of continued training while having immediate positive results hit an all-time high. We still have continued training ahead of us but after only three meetings with Bark Busters, Marlene and Howard have motivated us to work with Buddy and continue following their training plan. Each time we take Buddy outside, we see great improvements immediately. 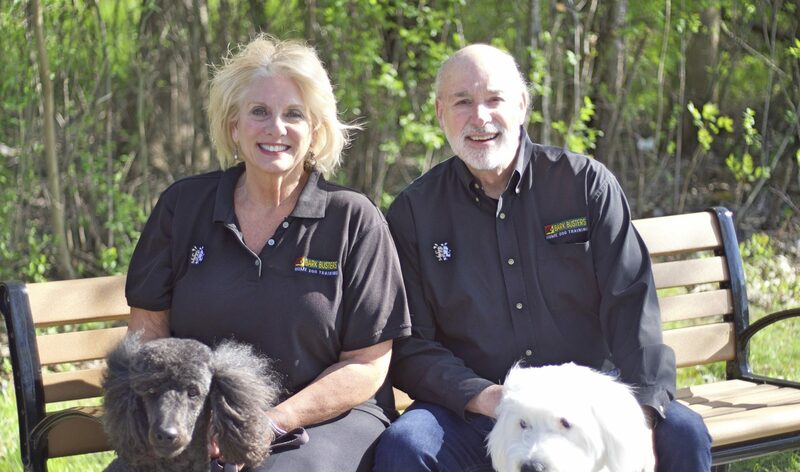 We HIGHLY recommend Marlene and Howard from Bark Busters. They both share their great knowledge and understanding of dogs, making it easier for us to understand the process and work toward the improvement. Their training methods and instructions are very thorough and easy to follow. Not to mention, both Marlene and Howard are always available to answer questions or make suggestions within minutes of calling. We look forward to our continued meetings with Bark Busters and are confident we have the well behaved and under control dog our family was hoping for. If you haven't called Marlene and Howard, you don't know what you're missing! My experience with Bark Busters has been great. Marlene was so helpful with my Boston Terrier/Beagle mix, Ned, from the get-go. She answered any and all questions before I even wrote a check for services. She was honest about what I might need to provide for Ned, and was giving me advice over the phone before I had even committed! Ned has always been very comfortable with her when she has come to my apartment. We worked on issues for his separation anxiety right away, as well as little things like not jumping on the couch, walking on the leash correctly, and just making sure that Ned knew I was the one in charge. He is still improving and might never be perfectly content when I leave him. However, Marlene has given me some great advice for how to help Ned feel comfortable when I come and go that I can use for his whole life. He began with instantaneous barking, resisting going in a crate, destructive behaviors, and over-excitement when I would come home. Now he is much more comfortable with our routine, is able to remain calm when I let him out after work, and even my dog walker has noticed that his barking is minimal, if anything! I would recommend this service (and have to some of my friends with newly adopted dogs) to anyone that feels as though they themselves as well as their dogs need a confidence boost. My dog is much happier and less anxious knowing that I've got it all under control. While Ned is a very smart little guy, we definitely have benefited from Marlene and her quick-response advice and visits. Do not hesitate to just call and ask questions even if you are the slightest bit curious! Our training sessions have been going great. Otis is very responsive to the training techniques and Marlene and Howard (so far!) seem to have a solution for every behavior. I'm learning that nothing happens over night, but with consistency and commitment, progress is absolutely evident. It is really reassuring that I can call Marlene, each time I have a question, or Otis develops a new behavior that needs to be addressed. Marlene and Howard are very flexible and supportive, and I know they really care about my dog and my satisfaction with the program, which is really important. Marlene and Howard were great. They helped show me what I was doing wrong in trying to correct my dog, Ernie's behaviour. Within only a matter of a few minutes, I was able to show Ernie that I was the pack leader rather than vice versa. They gave me great homework to do for 20 minutes daily and left me well written and detailed notes to help me when I'm on my own. I'm excited to keep practicing with Ernie and to be proud of what a well behaved little dog I have. Thank you so much! You both are a great team and are very helpful with all of your knowledge. You are a pleasure to work with. The Bark Busters team of Marlene and Howard is truly special. On a purely human level, they are kind, compassionate, intelligent, gentle, and very loving people. From a service perspective they have always been timely, considerate, focused, and goal-driven for what Doug (and we) need to accomplish. We have a somewhat unique scenario with an abused rescue dog and Marlene/Howard have been incredibly adept at navigating this course. In my opinion, the most valuable aspect that the team brings is their ability to articulate the dog-owner relationship - understanding the dog's psyche and how training interventions are nothing if not considerate of this complex interplay between human psyche and dog psyche. I love working with Bark Busters and would recommend it to anybody and everybody. We couldn't be happier with Barkbusters. A great first meeting to figure out what was needed, then great follow-up. Howard and Marlene gave us excellent techniques to address our terrier's (and our own) anxiety. Highly recommend. We have had only two lessons with our old English bulldog. Sadie is so cute but so stubborn. HOWARD & MARLENE have given us the tools to help Sadie become a well trained dog. After our 2 lessons Sadie is sitting and coming when she is called, not jumping as much as she did before, and is walking next to us when we take her one a walk. They also gave us advice on how to get her to stop nipping since she is teething and she is doing so much better. No more biting our ankles or hands. We still have a lot to do but I am so glad we have them standing right next to us. They are AWESOME and so caring for our little girl but with us as new owners!!! I was amazed by the effectiveness of the Bark Busters approach. There were immediate improvements in my dogs' behavior. Nuisance barking, charging at the door were significantly reduced - even after just one session! I never expected the changes to happen so quickly. I'm incredibly grateful for the knowledge, support and experience of Bark Busters. And my neighbor who complained about the dogs barking is grateful, too! Marlene and Howard have been wonderful! We first contacted them for our puppy Jazz. It was right before Thanksgiving and they came to our home within a couple of days. They spent three hours with us and taught us several strategies to deal with our dog's problem behaviors. They were very patient and understanding. Although things did not work out and we had to return Jazz to the breeder, we were very appreciative of Marlene and Howard's efforts. We recently adopted a female rescue dog, Bobbie, and we have contacted Marlene and Howard once again. As before, they have been extremely helpful and Bobbie is definitely making progress. Of course, much of the training involves teaching us and we are also improving! We have been so impressed with their knowledge, training methods, patience, and time spent in helping us. We strongly recommend them to anyone looking for help with their dog. As a first time dog owner, I wasn't sure what to think when my dog Doodles was panicking when I left her alone. She was suffering from separation anxiety and I wasn't sure how to help her. Howard and Marlene taught me how to help alleviate Doodles anxiety. She went from scratching at the door and breaking out of her crate, to being calm and content when left alone. In a matter of weeks there was a significant difference in my dog's behavior. Howard and Marlene also helped refine a few other skills, including leash walking, coming when called, and how to greet others. I would recommend Howard and Marlene to any dog owner. Thanks for all your help! I was amazed and thrilled with Marlene and her training techniques!!! In two visits Scooter was no longer jumping up and nibbiling on our visitors. It so enjoyable to be able to have company over with out our dog making them want to turn around and leave. I am also able to enjoy taking Scooter for a walk without him trying to pull me down the street!! THANK YOU for allowing me to enjoy every minute with my beloved Scooter!!! I am telling all my pet owner friends to use Marlene at Bark Busters for any pet concerns. You guys are the best!! Let me start with a brief description of my puppies; two adorable tyrants! My neighbor, excited with his results for his puppy, told me about Bark Busters. I called Bark Busters and left a message. Within minutes Marlene called back and was extremely helpful and professional. We agreed to meet at 11 AM on a Sunday... Marlene and Howard arrived 15 minutes early. They were wearing professional attire and display grace and friendliness. They arrived at my apartment with such manners, I felt like they were family. . They looked at my puppies and explained the program to me. As Howard was explaining the program, my puppy started chewing a piece of wood. Marlene said a command and the puppy stopped immediately (magic). Not only I was impressed and I felt secure by Marlene and Howard, they only want me to provide the best life for my puppies. We did some training with the puppies and the results are amazing. The puppies are lovely, tender, respectful. Thanks to Bark Busters. I can now see that through training, I can continue to have best friends for life. Marlene and Howard have a great way to explained the reality of a dog life! Highly recommended. I want to thank you and Howard for coming out yesterday. We have already seen a huge change in Roxy's behavior. We went to dinner last night and when we came back she barked once.....I did the bah, and she stopped and didn't bark again. Oliver started jumping on Roxy when she was trying to sleep and Shawn did the bah, and he stopped! Shawn and I will practice what you wrote down daily. I wish I would have contacted you years ago. We will send business your way, every opportunity we have. I already called My Vet to let them know how your program has helped Roxy, and I contacted the dog walkers and dog sitters I have used. When I moved to the city from the suburbs my dog was very aggressive and barked at everyone. I was afraid to take her anywhere and the elevator was so stressful I was afraid she would bite someone. I was so upset and didn't know what I was going to do. I loved her so much, I could not think of giving her up. On one of our very stressful walks I saw the Bark Busters car and called that same day. After a reassuring talk with Marlene Marks I set up appointment. At the end of our first visit Marlene had given me the tools to help Izzy and me become true partners in our new life and are now stress free. Additional training has helped us both in all aspects of our new adventures. Thanks to Marlene and Bark Busters we are enjoying our new lives together. Howard and Marlene, Thanks for helping to train ME to be a better owner to Chela. As you know, she was a rescue and my first pet. I did not know much about her but did have several behaviors to correct. Your guidance was invaluable and Chela and I work together every day to practice what you taught us. The fact that you came to my home made it so easy to use your services and your follow-up was great. I will not hesitate to recommend you to people in my building. Marlene and Howard exceeded our expectations. We've been able to easily implement their suggestions on a daily basis. Marlene and Howard provided excellent service. They are professional, courteous, and adeptly skilled in the art of dog/human training. They are warm, obviously compassionate trainers who truly care about their clients - people and dogs alike. In the brief 1/2 hour time span at the front of our session, they taught me an entirely new way of understanding how dogs think and how best to communicate with them. They translated what dogs need to "hear" from us so they are responsive to our goals for their behavior which, in turn, makes the dogs happy. This training method aligns the interests of the dog and the human, so we get what we want and the dogs get what they want. A win, win for everyone. Nova, my 12 year old former racing greyhound, was terrified of staircases. I am moving to a walk-up condo in less than a month. In the first training session, to my amazement, Marlene and Howard had gently coaxed Nova into tackling the staircase in my current home 2 times! Boy were we all happy! Including Nova, who did a little victory play-bow dance at the prospect of having achieved what we wanted from him. This 2 hour session changed our lives, and we are so greatly appreciative. Marlene and Howard are nothing but short of miracle workers! I never thought my 9-year-old, stubborn Dachs Oskar will ever change his ways, but in just a few days and weeks I started seeing a difference. Two months in, he's a new dog, and my other dog has benefited from what I learned as well! He barks a lot less, obeys commands, walks with me instead of walking me, and is a whole lot calmer and less anxious. Contacting Bark Busters and Marlene and Howard was the best decision ever - no regrets, just a lot of happiness and gratitude! Thanks, guys! The training was a great experience. I couldn't believe how fast Tessie responded. Howard and Marlene Marks were genuinely concerned with Tessie's problems. The methods they taught me firm but not harsh. Barking was the biggest issue. So far she is no longer barking at my neighbors. Next was the pulling on the leash. I am now able to walk Tessie in front of my house without her pulling me. I am thrilled with what Howard and Marlene showed me. I am glad they will continue to help me.